Probably for most people Petra comes first in mind if somebody mentions Jordan. Petra is very interesting place and it is worth to visit, but for me the most impressive place in Jordan was Wadi rum desert. It is such colorful and it is hard to believe the sand can have so many different shades. Now that’s somewhere that is still on my to go to list tried twice – never quite got there! 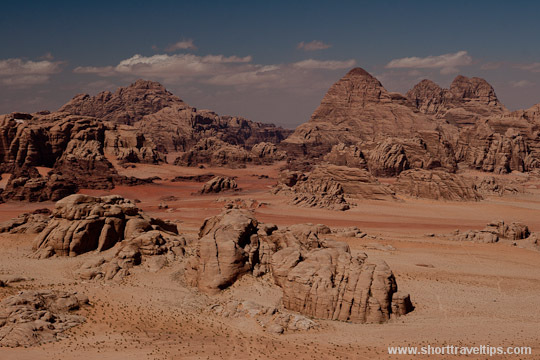 I first time saw Wadi-Rum photo and it looks quite captivating. Why it is famous? because of its beauty or history? Syeda, there is not much history, thought people lived there for ages and there are some rock paintings done by Nabateans, but mostly it is famous because of natural beauty. Cool! Never heard of it before.